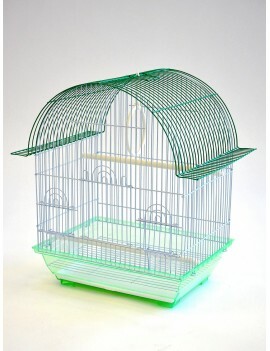 - Dome top small bird cage with baked non-toxic coating which is guaranteed safe for the bird. 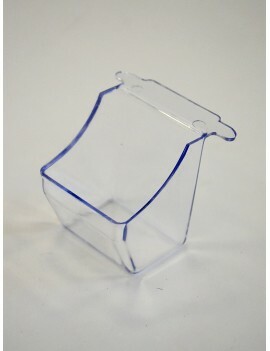 - The bird cage comes with 2 clear plastic feeder inside for easy feeding. 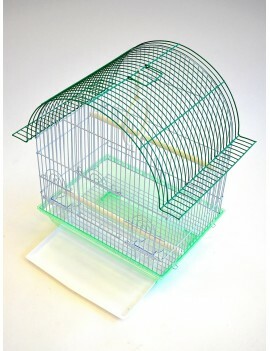 - The bird cage comes with two grooved plastic perches that are easy for the bird to grip. - The bird cage comes with clear plastic bottom with pull-out tray that are easy to clean.